Neon yellow calibrated measuring spoon for your pets. 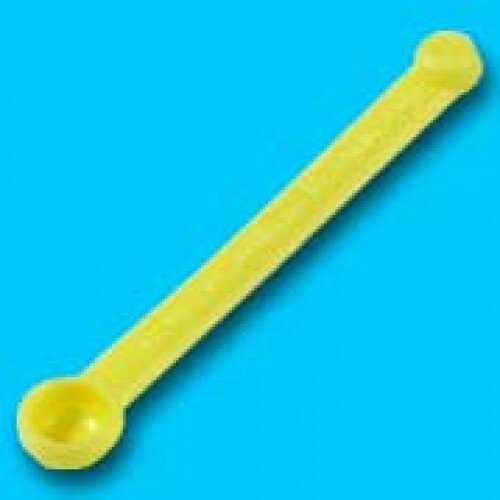 A large scoop on one end is used for measuring Plasma, the small scoop on the other end is used for measuring Growth Food. There is no better way of making sure that your pets get just the right amount of food!